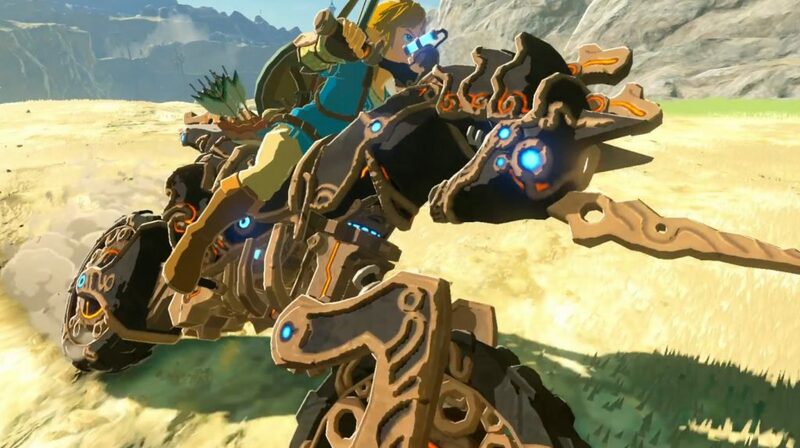 One of the most shocking moments from The Champions’ Ballad launch trailer was the reveal of the Master Cycle Zero, a motorcycle-like mount that Link can use to traverse the land of Hyrule. The decision to include such an outlandish vehicle in a Zelda game was really quite bold, and some fans are still trying to wrap their minds around its inclusion. Luckily, series producer Eiji Aonuma and Breath of the Wild director Hidemaro Fujibayashi recently explained the reasoning behind the Master Cycle Zero’s existence in a recent interview. Nintendo: First of all, thank you for taking time to talk to us. And congratulations on winning Game of the Year for The Legend of Zelda: Breath of the Wild! Nintendo: Many fans were surprised with Link’s new ride in DLC Pack 2. Could you please give us the background on this vehicle? The Master Cycle Zero may still have been a strange choice, but it is nice to know that the mount has its inspiration in real life. Nintendo has only released the first part of this interview, so be sure to check back soon for even more information about Breath of the Wild and The Champions’ Ballad. What do you think of the developers’ explanations? How do you feel about the Master Cycle Zero overall? Share your thoughts with us in the comments section below.